Cotton Candy » New Minnie Mouse (and Mickey Mouse) school bag! School is starting next week. I wasn’t thinking of making another backpack initially since she already has one (read post about their backpacks here) But during our trip to Japan, I picked up the poochee magazine special edition for kids, and there was a really cute backpack that was calling my name. And a girl can never have too many bags, so I was inspired to make one. I’ve been in such a holiday mood+post holiday blues I’ve forgotten to blog all about my trip to Japan. It was a really rewarding trip in terms of fabric buying. I went to three different fabric shops! 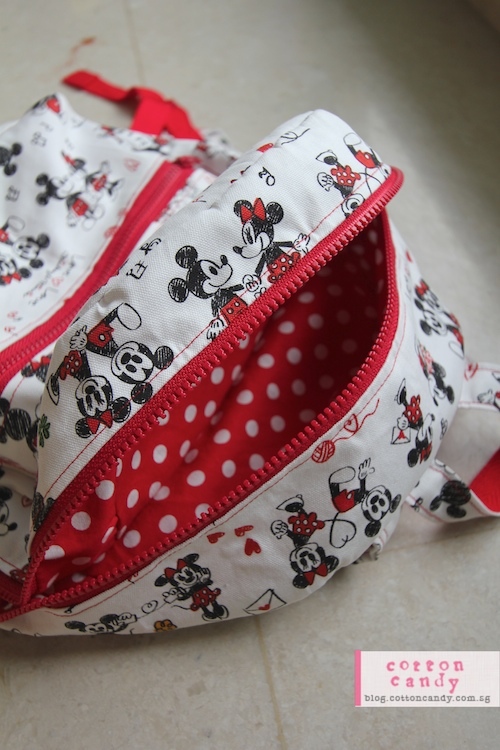 I picked up this super cute Mickey and Minne fabric from the first shop I went, knowing that it would be perfect for a bag. 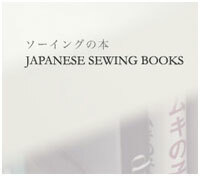 And I was just blown away at my last and final stop – Kanariya (www.kanariya.co.jp) which was like a disneyland of fabric stores. Here was where I picked up notions in sizes and colors that I could never imagine buying here from Spotlight and I have no idea where else to start looking for these things in Singapore. 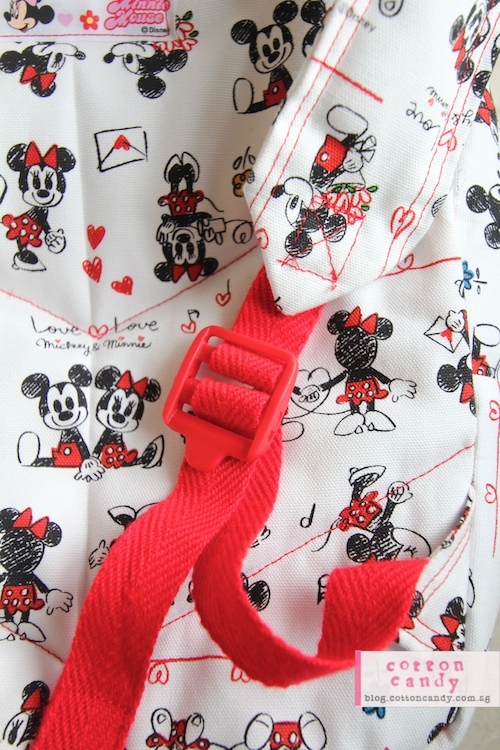 I bought a red strap buckle, and a whole ton of pink ones Note the Minnie Mouse name label in the top left hand corner. Also from Kanariya. To be able to find the right notion at the right size and color was just something I could never have imagined here. So I really felt like bringing the store home Anyway it was a good thing I found the backpack pattern before I went to Kanariya because I knew what I wanted and didn’t go (too) crazy ;P Zips were all YKK and not too expensive. Even cheaper than Spotlight. I even bought a red and white polka dotted lining fabric for the interior! Fantastic quality, the fabric looks the same from both sides, not printed like the one I bought from spotlight. And best of all, the colors didn’t run! I did a test wash because if the bag gets wet from a spilt waterbottle (very likely to happen), it would be heartbreaking to see the colors run and stain the outer layer. But no, the colors stayed where they were, not like the one I bought from Spotlight for the Minnie Mouse dress. Posted on December 28, 2011 by Cotton Candy. This entry was posted in Bags, Hand made. Bookmark the permalink. 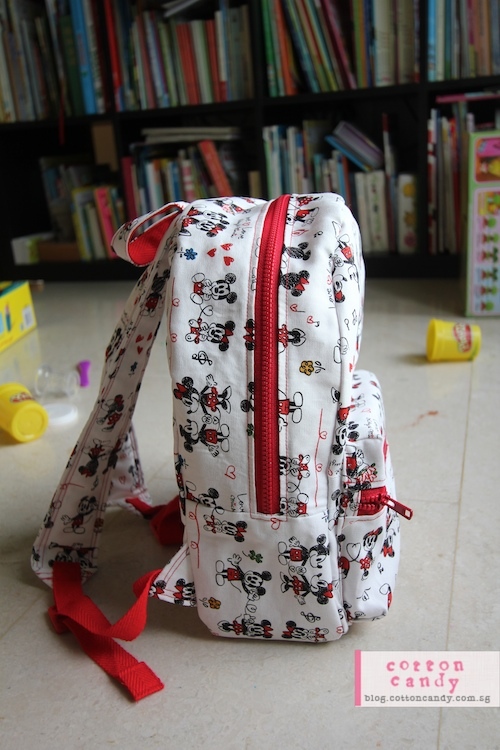 Your Minnie and Mickey backpack is so cute. Do you remember where you got the pattern and who made the pattern? I was hoping that I could purchase the same pattern that you used. Thank you. Hi Skye, I don’t have any more of that fabric though, so I can’t make anymore even if I wanted to! Thank you for your help. I was able to purchase a copy of the book and I made a Pokemon backpack for my son who is 6 years old and a Japanese anime backpack for my daughter who is 11 years old. They are both happy with their new backpacks. Thank you again for your help! You’re welcome! It’s so satisfying to sew for your kids isn’t it? Do you sell your handmade bag? I like the minnie mouse bag you did. Hi Margaret, Thanks! Unfortunately I don’t have the time to make them for sale at the moment. Will keep that idea in mind!